While the “left-leaning” is no doubt meant to suggest critiques from those who would be inclined to sympathize with Sanders, all the quoted economists have ties to the Democratic establishment. So slight is their leftward lean that it would require very sensitive equipment to measure. With his expansive plans to increase the size and role of government, Senator Bernie Sanders has provoked a debate not only with his Democratic rival for president, Hillary Clinton, but also with liberal-leaning economists who share his goals but question his numbers and political realism. 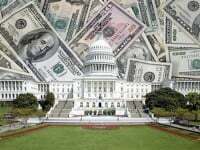 Though Sanders wants to increase federal spending on infrastructure, college tuition and childcare, as well as other programs, the bulk of his proposed increase would be for establishing a single-payer healthcare system, and that’s what Calmes’ piece focuses on. It would replace the current mix of multiple forms of public insurance (Medicare, Medicaid, state and local programs) and private insurance with a unitary federal system, much like what Canada has. It would not nationalize doctors and hospitals, as in Britain; only the payment side would be socialized. Sanders refers to it as Medicare for All, which is a simplification, but close enough for politics. 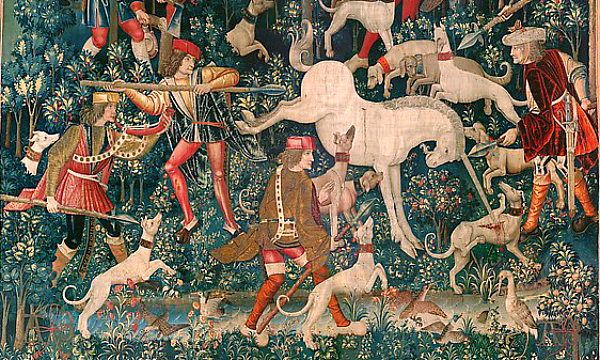 Paul Krugman illustrated his column (2/16/16) with an image of this tapestry. If in his metaphor a single-payer healthcare system is a unicorn, then presumably the people poking it with spears are establishment journalists. The theme of magic was further developed in a piece by New York Times op-ed columnist Paul Krugman, “My Magic Unicorn” (2/16/16), in which the word “unicorn” appears six times (not counting the headline). 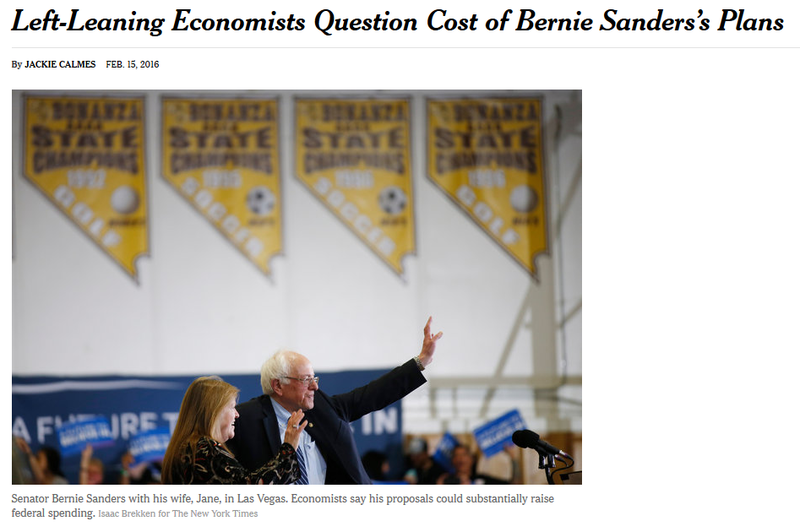 Krugman’s column, which denounces Sanders’ proposals as hopelessly unrealistic, refers to Calmes’ news story for support, a news story that itself reads like an op-ed in disguise. The “Mr. Goolsbee” quoted in the story is Austan Goolsbee, who was a long-time adviser to Barack Obama before he became president, and then served on Obama’s Council of Economic Advisers. (During the 2008 campaign, Goolsbee was reported as having assured the Canadian government that Obama’s anti-NAFTA talk was “more reflective of political maneuvering than policy”—New York Times, 3/4/08.) Now Goolsbee teaches economics at the University of Chicago’s business school and is a consultant to hedge funds. A very left-leaning resume there. And the “progressive analyst” who came up with the “puppies and rainbows” line is Ezra Klein, who in mid-January wrote a harshly disparaging piece, “Bernie Sanders’s Single-Payer Plan Isn’t a Plan at All,” on the website he co-founded, Vox (1/17/16). How times change: As long-time FAIR contributor Seth Ackerman showed in an incisive analysis (Jacobin, 1/25/16), Klein was once a strong proponent of a single-payer scheme. In a 2007 piece for the American Prospect (4/22/07), Klein explored what he called “the best healthcare systems in the world,” including Canada’s, looking for lessons for the US. (Krugman liked the piece enough to put it on a 2012 syllabus for a Princeton class on the welfare state.) Klein’s conclusion, expressed in his opening sentence, was that while medicine is hard, health insurance is simple: We should emulate these other systems that achieve both universal coverage and cost control, like those of Canada, France, Germany and the UK. Though he now holds Sanders’ advocacy of single-payer in disdain, Klein specifically praised Canada’s single-payer system, citing a 2003 paper by Steffie Wooldhandler, Terry Campbell and David Himmelstein in the New England Journal of Medicine (8/21/03) that found that administrative costs were over three times as high in the US than in Canada, mainly because of the inefficiencies of private health insurance. Eliminate private insurance and you enjoy hundreds of billions in savings. Sanders has proposed paying for his single-payer health insurance program mainly by raising taxes on the rich and imposing a 6.2 percent payroll tax on employers and a 2.2 percent income tax on households (while fully exempting lower-income households and partly exempting middle-income ones from the tax). Those tax increases would replace current spending on private insurance, so it would be very wrong to call them new spending. Thorpe’s paper argues that Sanders underestimates the cost of his single-payer health insurance scheme by close to half. More realistic assumptions would require substantial tax increases across the board and result in lower wages for the presently uninsured as employers compensate for the new payroll tax. Frightening, if true, and Calmes and her headline writer frame the article to persuade us that it is. As Woolhandler and Himmelstein point out, in earlier studies—one done for the state of Missouri, and another for the National Coalition on Health Care—Thorpe projected large savings from single-payer reform. Now this former Clinton adviser finds the opposite. There’s a political angle to Calmes’ piece as well, which she uses longtime Democratic economist Henry Aaron to deliver. (Aaron is a fellow at the Brookings Institution, a think tank that a congressional staffer once described to me as “a graveyard for conservative Democrats.”) Aaron calls the idea of single-payer a “fairy tale” in the current political climate. Citing the testimony of “other economists in a ‘lefty chat group’ he joins online,” Aaron believes that were Sanders elected, he’d destroy his political capital by fighting such a doomed fight. I’m familiar with this line of argument from a liberal chat group I used to hang out with online (it takes its off-the-record secrecy with great seriousness)—it may be the same one, but I can’t tell for sure. It goes like this: The right so dominates the present scene that one can do nothing but play defense, hoping to salvage what remains of social spending but never daring to ask for more. Political capital, in this account, can only dwindle when put to work; unlike other forms of capital, it never pays returns. The right never thought that way when it was plotting its ascendancy from the 1950s through the 1970s. Calmes gave the last word to Thorpe, who concludes from a failed attempt to bring single-payer to Vermont that it would be unworkable on a national scale. Vermont’s plan wasn’t really single-payer; providers would still have had to contend with multiple payers, thereby limiting administrative savings, and the state would have little bargaining power with drug and device manufacturers. The experience of a small state in a big country is hardly conclusive. What might be more persuasive is the experience of our northern neighbor, a country very much like ours. Canada covers almost all its population at a cost of 10.2 percent of GDP. Even after Obamacare, about a tenth of the US population is uninsured, but that incomplete coverage costs us 16.4 percent of GDP. Britain’s system costs 8.9 percent of GDP, a little over half what we pay. Both countries have longer life expectancies than we do. But we should be afraid of the unicorns. Doug Henwood is the editor of Left Business Observer.